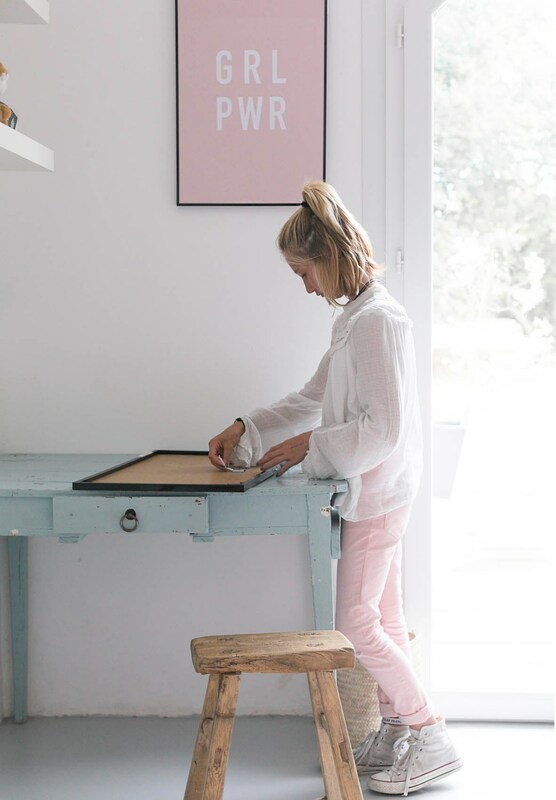 Anyway, I love Karine’s style — I’ve always felt she has such a modern, minimalist decor style, all the while maintaining her ‘Frenchness’ with an effortless knack for accessorising. The way she’s decorated Mila’s room is no different. 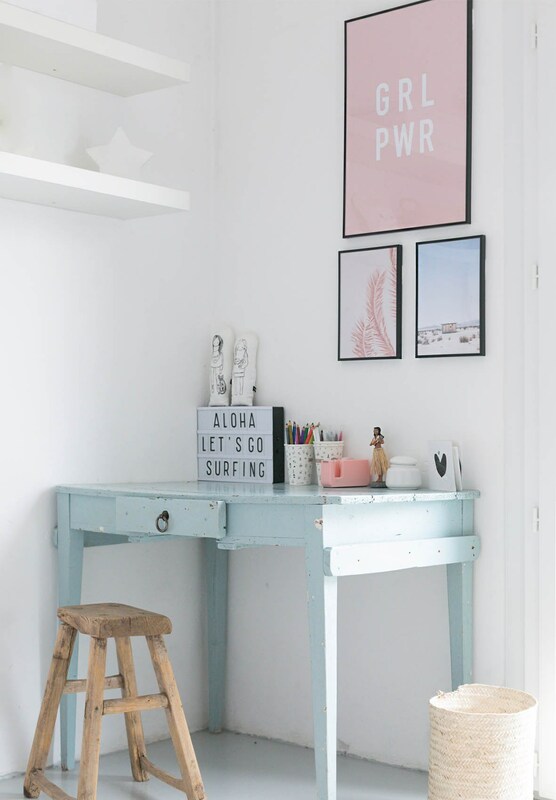 I love what she’s done with it, and thought it would be fun to share with you here for teen bedroom inspiration. 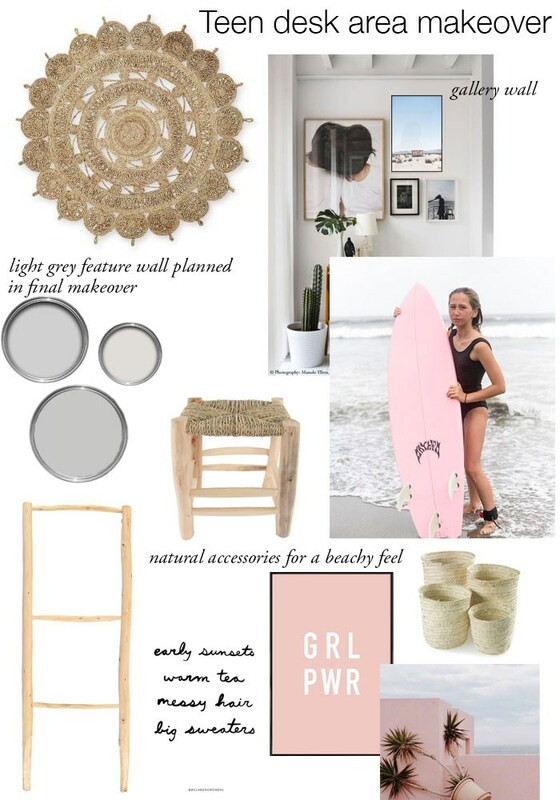 I love how she’s incorporated Mila’s passion for surfing and travel into the decor. You can view the full makeover over on Karine’s blog here. I second that. Thank you for some older kid content! It’s a really beautiful room. I would also like to see more teenagers rooms for inpiration. On a side note, I was also surprised Mila is only 12. The images images on her Instagram made me think she was closer to 16-18. I would be grateful for a post on child safety in the future. It’s now the norm to expose children to strangers all over the world through social media. Mila is simply beautiful, but I find her pictures quite mature for her age. How will our children feel as adults knowing thier childhood photos are documented forever and owned by Instagram/Facebook. An interesting topic for another time perhaps. This really isn’t meant to be negative. I’m just genuinely interested about the issues ahead for this new digital generation.